I thought this was a great info graphic to sare with you regarding the glueing factor of e-mail. 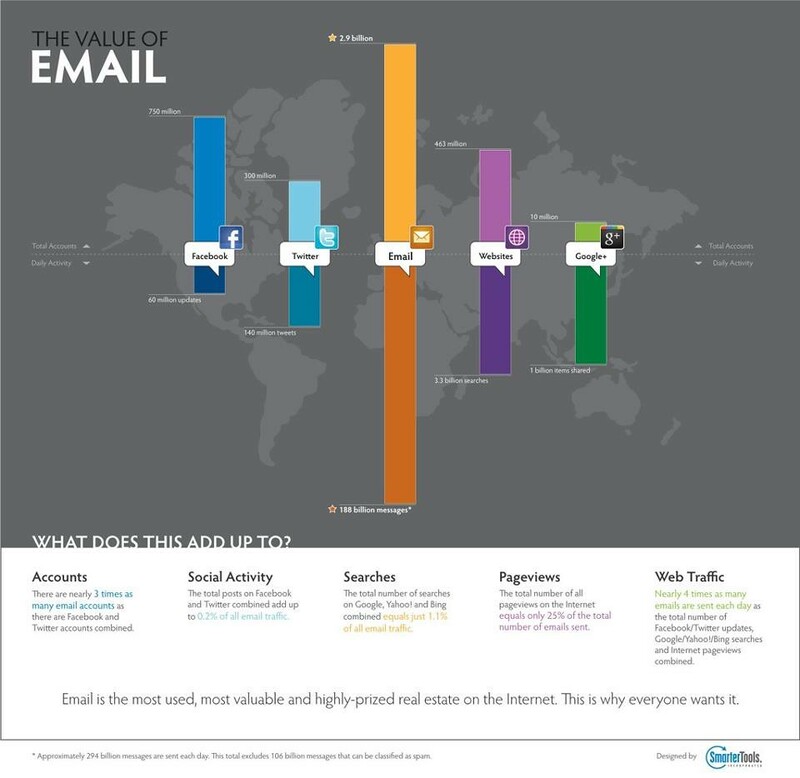 The graphic speaks for itself and reinforces the importance of e-mail as the glue agent around which all of our accounts are connected. Got your email signature sorted?